Getting a new job is not that hard when you have a site like MyJobHunter to assist you. MyJobHunter.com lets you upload your resume online, and have matching jobs delivered straight to you. All you have to do is to upload your resume and specify your skills and expertise for the site to take care not only of finding suitable job openings, but also of applying to them for you. That can be done automatically; MyJobHunter.com can apply to jobs with your resume. It can even create a completely different cover letter for each and every job application that it sends in. 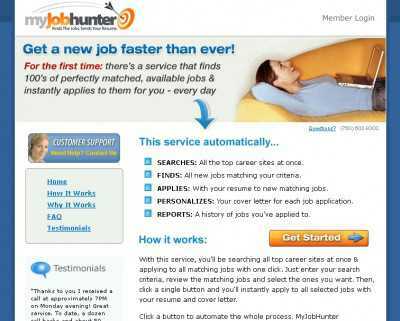 And in addition to automatically searching for jobs for you, MyJobHunter can keep track of all these positions that you have applied to, so that you won’t make the amateurish mistake of submitting the same resume to the same company twice within days. Because you are the one deciding whether your resume is going to be automatically emailed to employers or not. You can actually review every position, and have MyJobHunter submit your resume only to the ones that you’re really interested in. And as you get new certificates and your resume grows and grows, then you can change your search criteria to reflect your new aspirations. 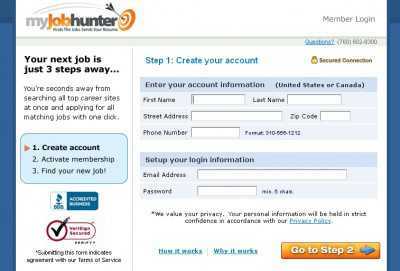 Just log in to your account and make the necessary changes for MyJobHunter.com to know what to focus on.